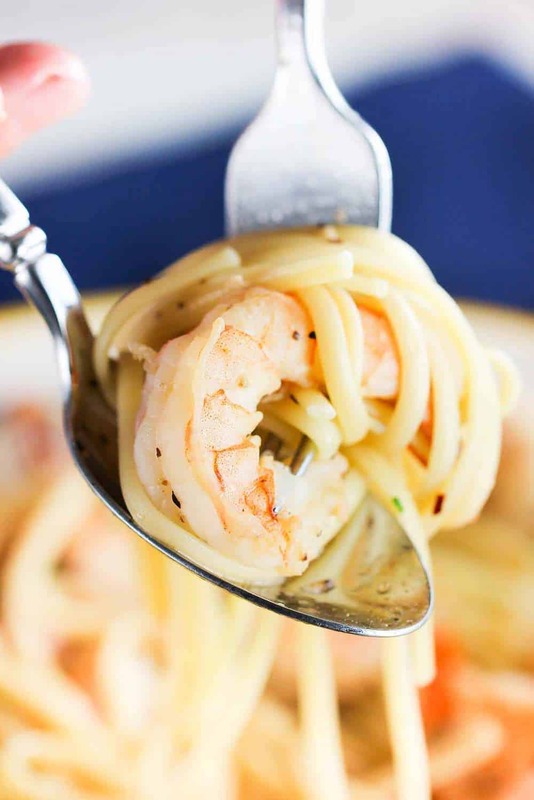 I say this a lot, but this is honestly one of our all-time favorite dishes: You will not be disappointed with this Succulent Shrimp Scampi recipe. The sauce alone is something to write home about. And one of the great things about this classic Italian-American dish is that it comes together in less than 30 minutes! 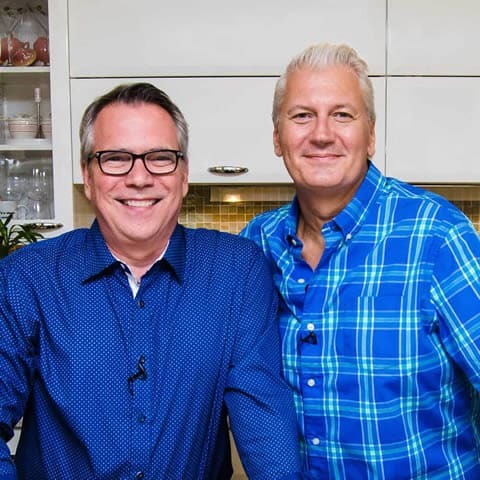 Watch us show you how to make on of our most favorite dishes of all time! Of course, quickly searing the shrimp in some olive oil and a good dose of garlic really gets this dish going to flavor town…fast. And the smell as the shrimp cooks is intoxicatingly incredible. And this dish comes together so quickly. You can have this dish on the table within 30 to 40 minutes, no problem at all. We love to serve it over linguine! The wine and butter sauce, combined with the garlicky shrimp, just can not be beat. 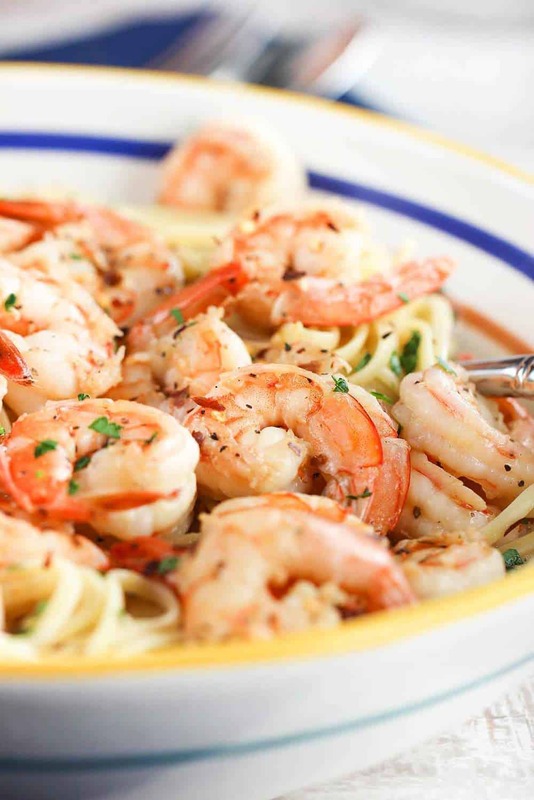 Oh, if you’re looking for the perfect Shrimp Scampi recipe, you’ve come to the right place! 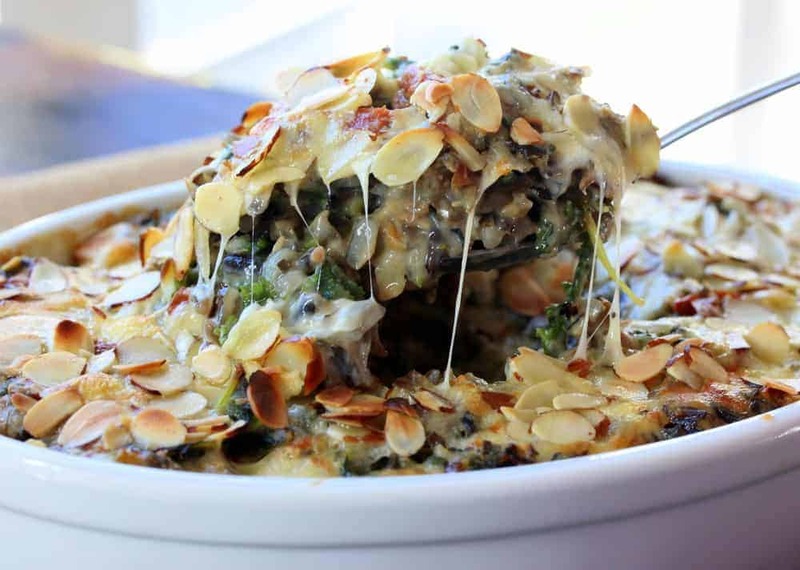 This is such an easy dish to prepare, but will truly impress your guests when you serve it to them. It’s that good. This Succulent Shrimp Scampi is Italian-American cuisine at its very best. This dish will rival any scampi served at just about any restaurant you try. Don’t you just want to dive into that skillet of pure yumminess? 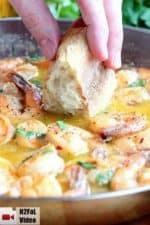 I firmly believe that the tools we use are almost as important as the ingredients and techniques we employ to make stellar dishes, like Succulent Shrimp Scampi. I use my Cuisinart Chef’s Classic Stainless Steel for this dish every time, and I swear, it really does make a difference. 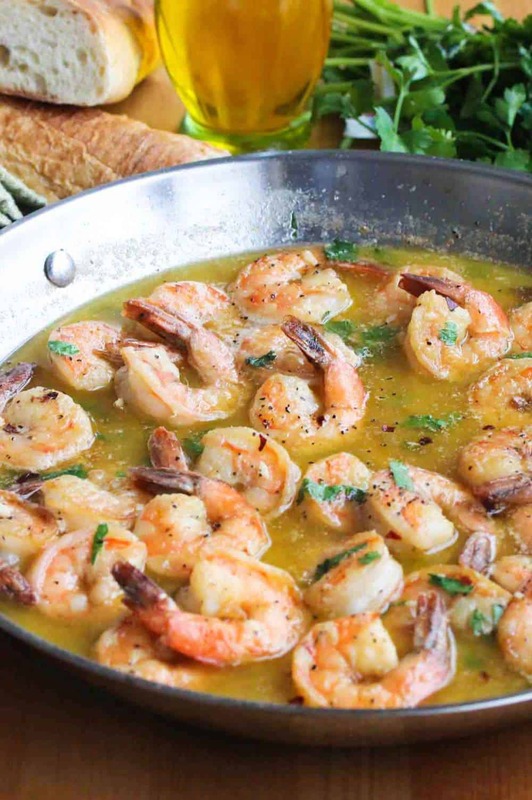 And now…onto this amazing Succulent Shrimp Scampi recipe! This succulent shrimp scampi is incredible. The sauce, alone, is worth writing home about. Serve over linguine, or with a bunch of fresh, crusty bread for soaking. Good Lord...this is so good. 1 cup quality dry white wine don't use cooking wine! Lightly season the shrimp all over with salt and pepper. Add the garlic and cook until translucent, about 2 minutes. Add the shrimp and sauté until pink and fully cooked, about 3 to 5 minutes. Transfer cooked shrimp to a paper-towel lined plate. In the same pan, over medium-high heat, add the wine, Worcestershire sauce, lemon juice, and stock. Bring to a boil. Reduce heat to medium and cook until liquid is reduced by half, about 6 - 7 minutes. Whisk in butter and season to taste with salt and pepper. Add shrimp to re-heat, tossing to coat well with sauce, for about 1 minute. Sprinkle with parsley, just before serving. Hello. Thank you for an awesome recipe. Just made it and my family devoured it. I love and appreciate the ease of making this dish. Definitely making this again and again! This was delicious! From the ingredients it sounded good, but all together it was incredible, just an explosion of flavors. Instead of shrimp I went with scallops. I did forget one of the post regarding coating the seafood in flour. The sauce was thin, I added a little of some Wonder flour, the sauce thickened perfectly. Thank you so much for the recipe! Best shrimp recipie ive heried. Added pesto-sauce and asparagus. To die for! Excellent combinatoin. Have fun “adjusting” to your taste. This was easy!! I’m in Tulsa and THE shrimp truck is coming up from Galveston on Tuesday. The shrimp is fresh and amazing and I know what I’ll be making Tuesday evening! This ain’t Red Lobster shrimp scampi, is it? I’m so excited to try your recipe. Have a lost my mind (please don’t answer) or did this recipe originally call for coating shrimp in flour? You have not lost your mind! And sorry for making you a bit crazy! 🙂 I (Kris) am constantly refining recipes, and I updated this recipe without dredging the shrimp in the flour. You can definitely do that, and I love the crunch it adds, but if overdone, it can affect the sauce at the end. I love the simplicity of a quick sear and then build the sauce from there. So, this updated scampi recipe I believe is even better than the previous one. Hope that makes sense! It turned out great. I guilded the lily and added lemon zest. Too tart but still great. I like the use of flour to give it texture and flavor. Used spaghetti squash as pasta. Winner. Sounds wonderful! I know what you mean, I just love citrus so much, and it’s sometimes easy to go a bit too much, but I bet it was still delicious! Spaghetti squash…YES! Thanks so much for letting us know, and please stay in touch! Much more fun in the kitchen to come! Decided to make this for New Year Eve dinner. I usually make this dish during the holidays, I have a recipe, but I saw this and it looked so tasty I had to make it. Two Thumbs up from this Italian. My family originated from Calabria, I don’t remember my grandmother making Shrimp Scampi but since my boyfriend’s grandmother was from the northern part, I’m pretty sure this is how I had this dish. Nothing makes us happier than this kind of message. We are so happy and pleased to hear that you and your Italian family enjoyed the recipe. This has been one of our favorite dishes for as long as we can remember. We hope you and your loved ones have a joyous 2018 and please stay in touch. This looks fabulous! I’m so excited to try it but is there a wine in particular you recommend? Made this last night, loved the crunchy shrimp and the sauce was fabulous too. Will be making this again, a new family favorite for sure! Maureen that is so great to hear! This shrimp scampi has been a favorite of ours for a long time. So glad you and your family like it! Cook on! Stay in touch. Kris & Wesley. I tried this recipe but with fried tilapia it was awesome. Wow! Sounds great! Love it! Thanks for sharing. I’ll have to try that sometime. Thanks!! Absolutely great recipe!! Followed it exactly as written and it turned out as one of the best shrimp recipes I’ve ever made and pleased the whole family of 5!! Which is a rarity that everyone enjoyed it. Please come back often and let us know what you think! My boyfriend and I made this for his family one night, it turned out excellent! The lemon was amazing in this. Thank you! 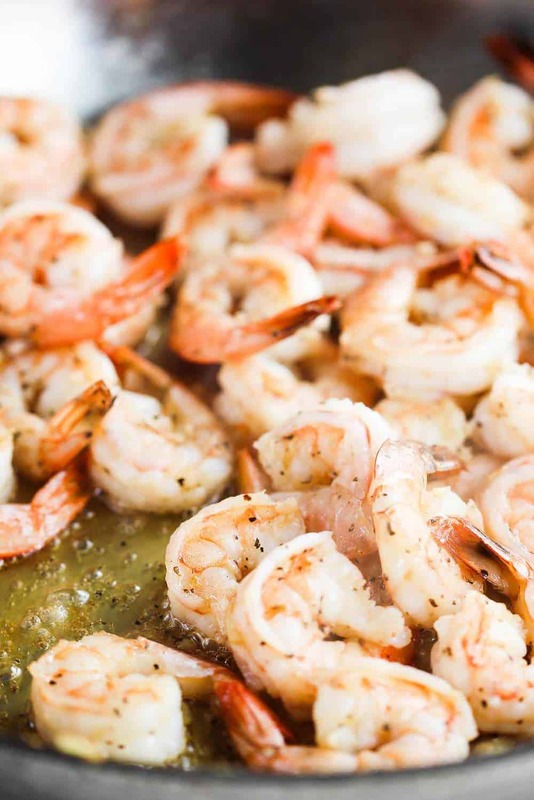 Shrimp, garlic, butter, wine, oh my! Thanks for sharing!! Yummy, right, Robyn? It’s one of our definite favorites!! This looks amazing and I’m so in love with our blog. It’s GORGEOUS!